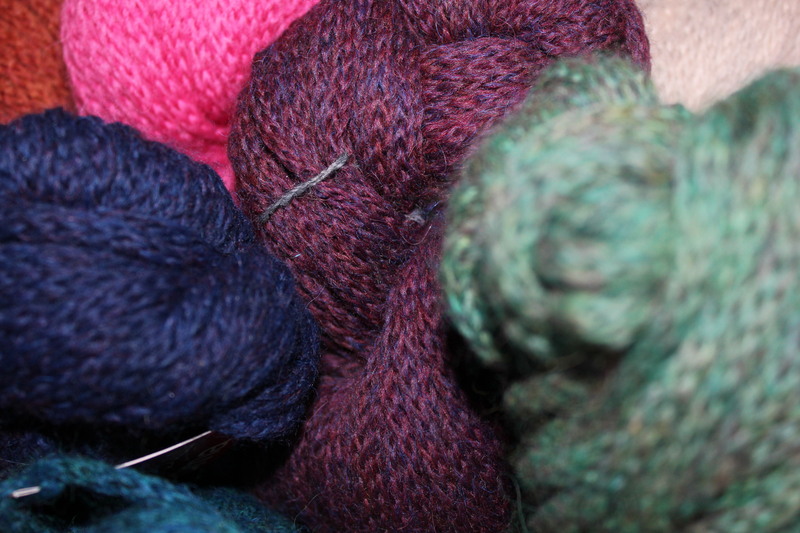 ← Finally….Saturday Knit and Natter is back!!! 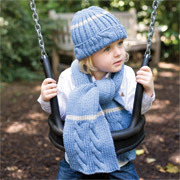 Did you know that one of the most popular knitting keywords when searching yarn is ‘knitting wool’! Strictly speaking, knitting wool would mean a yarn for knitting made from pure wool or at least a high percentage of wool but so many yarns are made from other fibres and it’s quite likely that when we put in the words ‘knitting wool’ into the search engine, we don’t necessarily mean we want ‘wool’! Things in the world of wool have gone through quite a few changes over the last forty years or so, with the availability of cheap man made fibres back in the 1980′s, ‘wool’ took a back seat and ‘knitting wool’ as such, became ‘knitting acrylic’! 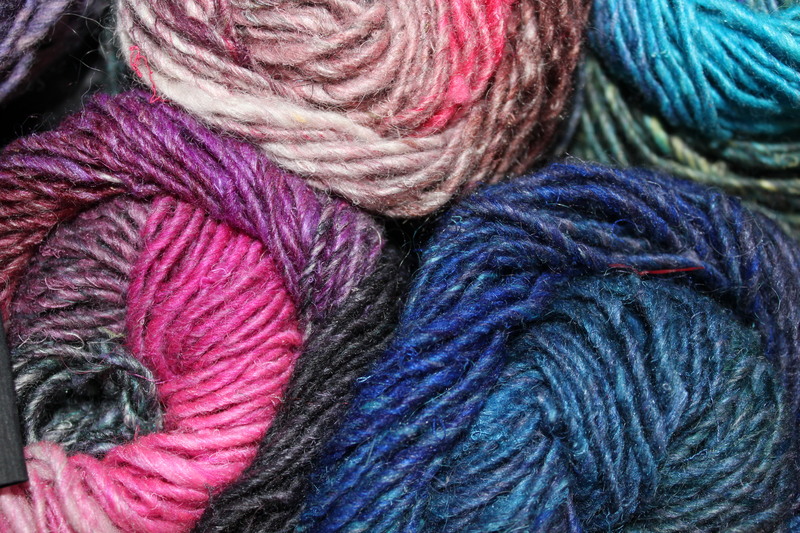 Sadly, the introduction of the cheaper acrylics did kill off a lot of our local yarn stores because yarn was so cheap and we could still only knit at the same speed so your yarn store owner made much less money for selling the same amount of yarn. Over more recent years, we have become a little more precious over our knitting and now love natural fibres! I see so many people pick up a ball of yarn and look at the properties….we now want natural fibres, we also want to know where they have come from too! We know we can buy a sweater cheaper than we can knit one for in acrylic, but if we want those precious fibres, we have to pay the price tag and if you look at some of the designer price tags….you can definitely knit cheaper! A Dior sweater with a Dior price tag! Wool is the major contributor of the substances we knit but there are now many other fibres that are equally sought after. A lot of yarns will contain some ‘wool’ as it gives good bulk and substance to the yarn and it is naturally warm with good absorbency. Several examples that spring to mind of ‘pure wools’ are Debbie Bliss Blue Faced Leicester, Debbie Bliss Rialto (lace, 4ply, dk, aran and chunky! 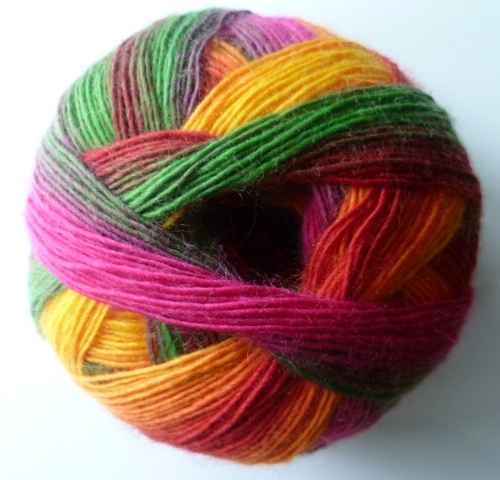 ), Hjertegarn Lima (a less expensive alternative from Peru at £2.75 for 50g! ), not to mention our own Yorkshire Wolds Suffolk X! Wool blends containing alpaca give you the balance of warmth with the silky softness of alpaca, beautiful to knit with and luxurious to wear. We have our own Yorkshire Wolds Suffolk X with 50% alpaca, Debbie Bliss Paloma is another beautiful example of a wool and alpaca blend – almost like an ‘i’ cord in structure, it knits as a bulky weight but yet still remains light and airy. Wool blends containing silk tend not to be as strong as blends with alpaca, they can have a tendancy to fluff out slightly more but they do shave well making the garment look like new! There are lots of ‘bobble removing’ clothes shavers on the market….don’t try using a lady shave like I once did only to result in the shaver grabbing the fibres and tearing it! Bobble removers specially made for garments are relatively inexpensive and will make most of your knitted garments look like new!…..when I say most, it’s usually the ones with good percentages of natural fibres that will shave up well. Man made fibres tend to be quite tough and the shavers don’t work terribly well on them! A good example of a wool/silk blend is Louisa Harding Grace, available in solid shades, hand-dyed shades and even a hand-beaded version! A good example of an alpaca and silk blend is Debbie Bliss Andes, similar in many ways to Louisa Harding Grace but containing alpaca instead of wool, this gives the yarn a luxurious softness and drape which is dramatically noticeable both to feel and when knitted although from an appearance point of view, it looks very similar to the Louisa Harding Grace. Wool and cotton makes a good summer blend, you have the cool summer look of the cotton, the absorbency and cooler feel of cotton, but the wool gives it spring, substance and helps it to retain it’s shape….as well as being nicer to knit with! 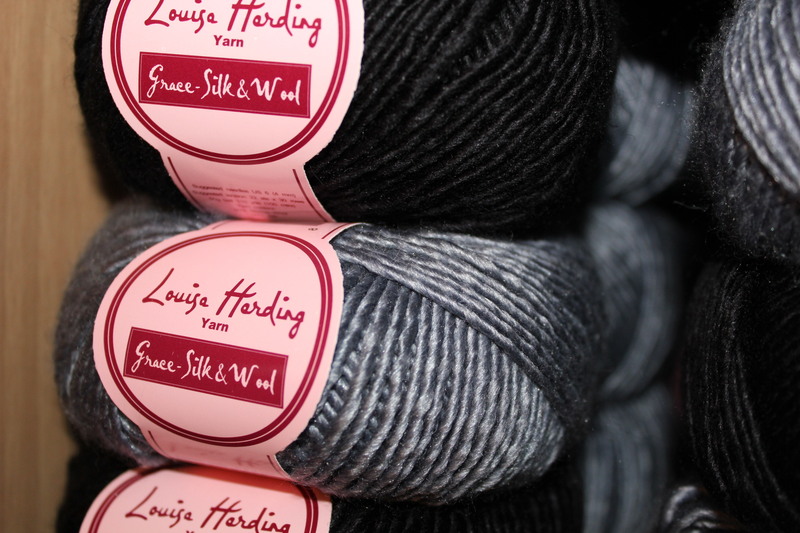 A good example of a wool and cotton blend is Louisa Harding Ianthe, a standard DK weight in a fantastic selection of shades and iconic Louisa Harding pattern support. Sock yarns generally need approximately 75% wool with 25% nylon for strength, at this blend you will have a sock that retains it’s shape, has strength, is absorbent and is hard wearing…..making great walking socks and great everyday socks! Some sock yarns also containg cotton to increase the absorbency. Sock knitting has become so popular of late, I think it’s the combination of portability, useful finished object, great Christmas present and once you’ve worn hand knitted socks….you won’t want to wear anything else!! It also amazes me when people say they can’t wear ‘wool’. I think what they refer to is the scratchy, itchy, rugged wools of the 1970′s. With improvements in processing techniques and the wide availibility of merino, it’s now harder to find a scratchy rugged wool (which incidently, some people do ask for). Yorkshire Wolds Suffolk X is a touch on the scratchy side but the alpaca blend is divine and much of the scratchyness is lost but for a truly soft pure wool, you really need to look for some of the wools known for their softness. Debbie Bliss Rialto yarns are spun from a very fine merino with a special twist that locks in the fibres, giving virtually no loose fibres to itch or scratch….feel it to believe it! Debbie Bliss Blue Faced Leicester is certainly ‘fluffier’ but is so downy and soft, those looser fluffy fibres add to it’s character. For children, the two Swedish sisters who developed MillaMia really did fill the gap in the market for a premium quality yarn that is perfect for babies and children, so soft you could put it next to your newborn’s skin. 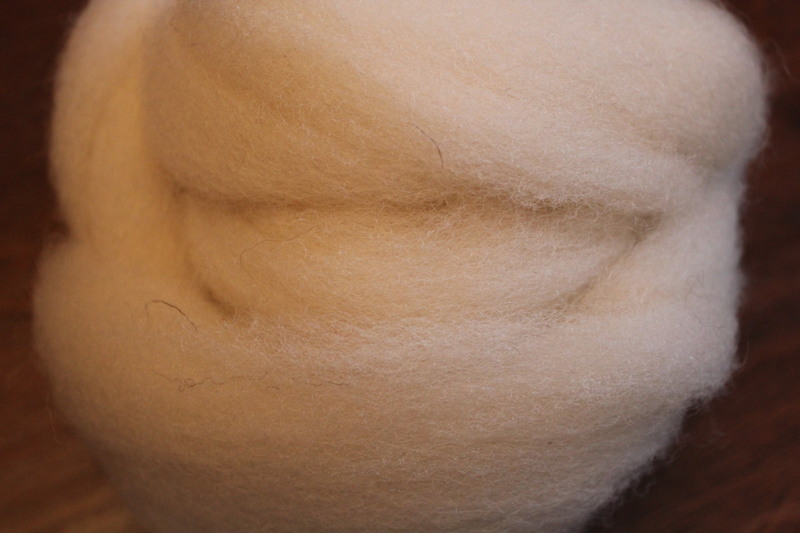 MillaMia is 100% extra fine merino, to touch it blindfolded you would never believe a pure wool could be so soft. There are 17 fabulous shades available in MillaMia, definitely something for everyone, whether you want brights, pastels, neutrals or dark shades, there is something for all tastes. MillaMia now have 4 books in their collection, the first two books Bright Young Things and Close Knit Gang cover an age range from birth to 5 years with everything from blankets and babygro’s to fashion concious sweaters, hats and scarves. The latest two books, Wonderland and Little Rascals cover a slightly larger age range with some of the designs going up to 8 years. Noro have a huge corner of the market with their colour change yarns, hand dyed and spun using natural techniques where possible resulting in a premium yarn, unique colour blends and a slubbed, hand spun quality that you either love or hate! Due to the natural techniqes used when manufacturing Noro, there are thick and thin bits, slubs, bits of grass, weak bits and the odd knot, these properties are the character of Noro and you will go a long way to find anything comparable. Noro comes with a premium price tag but it’s worth every penny. Your finished garment will serve you faithfully for many years and will catch the eye of every knitter with an eye for quality. I remember going round the Harrogate Knitting and Stitching Show last year….Noro spotting! One lady wore a fabulous dress knitted in Noro, it looked amazing….if you’re reading this, you will know who you are! This entry was posted in Knitting Wool and tagged amitola, andes, blue faced leicester, debbie bliss, debbie bliss blue faced leicester, debbie bliss rialto, debbie bliss rialto 4ply, debbie bliss rialto aran, debbie bliss rialto dk, debbie bliss riato lace, debbie bliss winter garden, knitting wool, knitting yarn, Little Houndales Knits, Little Rascals, louisa harding, millamia, millamia bright young things, millamia close knit gang, millamia little rascals, millamia wonderland, new millamia book, yarn, yorkshire wool. Bookmark the permalink.